Financed and built 70 condominiums. Designed as a modern interpretation of a brownstone village, the brick and stone clad exteriors and detail driven interior designs are unsurpassed. The architecture suggests an urban village setting with its central motor court and brick-paved walkways. 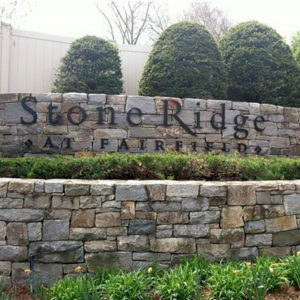 Stone pavers lead into an electronically controlled main gate. The single-level homes are available in one, two and tree-bedroom configurations. Each of the 70 homes enjoys abundant natural light, and more than half boast corner exposures. All have private outdoor living spaces.